The Original Packed Lunch Company & Still The Best. Having been in the sandwich trade for 20 years, I realised that sometimes, not everyone is able to come to the shop to pick up lunch all of the time, simply because of sheer volumes of people, or the fact that lunch has to be done “on the hoof”. 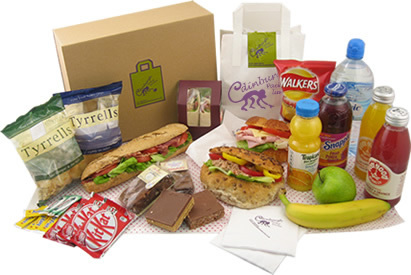 We therefore came up with the idea of a “bulk” ordering system which allowed lunches to be pre-ordered and delivered to a specific place at a specified time, without the worry of vast numbers of people trying to purchase lunch at one time in out of the way places. Hopefully we have devised a system whereby lunch can be ordered as a group, whilst still retaining the choice element , in situations where lunch has to be taken but there are no facilities to do so. ie bus tours/trips ,school trips away, group meetings and conferences. This is now our seventh year operating the packed lunch system and it has grown and evolved in a way which I would never have imagined. Thank you to all our loyal customers who have supported our project and long may it continue to flourish. Copyright © 2014 Packed Lunches Edinburgh Healthy, Tasty packed lunch to go. All Rights Reserved.